The Dr. was super nice but I had to wait about 45min after my appointment to see her and her employeesat the window are not really nice. They tell you whatever and that’s it... The Dr. told me to go get a blood test done, I asked them where was the lab and they told me to just look online while she was walking away... then, they gave me a paper with the DMC lab and it was none in Dearborn... I founded one literally aceros the street and when I look at the papers the have e in the office it was not the blood test paper, it was just my next appointment. I had to call the office again to them fax the blood test papers to the lab. The DR was amazing but the two ladies in the front windows need more manners. They don’t have to be smiling but at least make eye contact . The Dr. was super nice but I had to wait about 45min after my appointment to see her and her employees at the window are not really nice. They tell youwhatever and that’s it... The Dr. told me to go get a blood test done, I asked them where was the lab and they told me to just look online while she was walking away... then, they gave me a paper with the DMC lab and it was none in Dearborn... I founded one literally aceros the street and when I look at the papers the have e in the office it was not the blood test paper, it was just my next appointment. I had to call the office again to them fax the blood test papers to the lab. The DR was amazing but the two ladies in the front windows need more manners. They don’t have to be smiling but at least make eye contact . She was very attentive and answered all my questions. 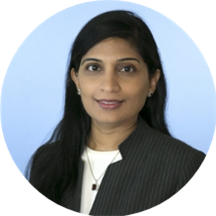 Dr. Roja Ramisetty is a skilled gastroenterologist serving the communities of Dearborn and Farmington Hills, MI. Dr. Ramisetty attended Guntur Medical College, where she received her medical degree and completed an internship. She graduated in the top 5% of her class in the M.B.B.S. program and passed in the top 1% of her medical entrance examination. She pursued her residency in internal medicine and fellowship in gastroenterology at St. John Providence Hospital. Dr. Ramisetty brings extensive experience to her role at DMC Dearborn Multi-Specialty Clinic. She has more than 12 years’ experience in gastrointestinal disease, hepatology, and internal medicine. She is certified in gastroenterology by the American Board of Internal Medicine. She is an active member of the American College of Gastroenterology, the American Society of Gastrointestinal Endoscopy, and the American Gastroenterological Association. She is fluent in English, Telugu, and Hindi. Dr. Ramisetty encourages open communication with her patients which allows her to guide them through their treatment as an active participant in their own wellbeing. She is enthusiastic and detail-oriented in conducting patient needs assessments, as well as in providing accurate results and recommendations for the development of appropriate patient treatment. My Dr is great I love her. Staff and Doctor were very pleasant. Addressed concerns. Overall great visit.